Being in the business since 2005, I have the experience and tools to get the job done right. (The 1st time around). 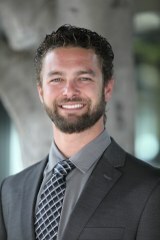 I specialize in working with 1st Time Buyers and Investors who have large Real Estate portfolios. With my Auction, Mortgage and Real Estate background I bring more skills to the table than the average Real Estate agent. I am a Realtor with the San Diego Association of Realtors and through this affiliation I stay educated on the latest real estate risk management and technology. I am different from other real estate agents because I am very honest, extremely hardworking, and aggressive in order to get my client’s the property they desire to purchase. I always put my clients’ interest first to get them the best possible deal. When you put me to work on your real estate goals, you will find out how hard I work for my clients. Home buying can be a frustrating process, but with me as your agent, I make it as easy as possible. I was born and raised here in sunny San Diego. I have a wealth of San Diego knowledge having lived in Alpine most of my life and Graduating from Granite Hills High School. I continue to live in Alpine with my wife Brianna, two daughters and son. When I am not spending time with friends and family or hard at work for my clients I enjoy meeting new people, traveling, snowboarding and being involved with my community.